The English country house is an iconic setting for some of the greatest British crime fiction. Short stories are an important part of this tradition, and writers from Agatha Christie to Margery Allingham became famous for the intricate cases which their detectives unravelled in rambling country houses. These stories continue to enjoy wide appeal, driven partly by nostalgia for a vanished way of life, and partly by the pleasure of trying to solve a fiendishly clued puzzle. This new collection gathers together stories written over a span of about 65 years, during which British society, and life in country houses, was transformed out of all recognition. It includes fascinating and unfamiliar twists on the classic 'closed circle' plot, in which the assorted guests at a country house party become suspects when a crime is committed. In the more sinister tales featured here, a gloomy mansion set in lonely grounds offers an eerie backdrop for dark deeds, as in Arthur Conan Doyle's 'The Copper Beeches' and W. W. Jacobs' 'The Well'. Many distinguished writers are represented in this collection, including such great names of the genre as Anthony Berkeley, Nicholas Blake and G.K. Chesterton. 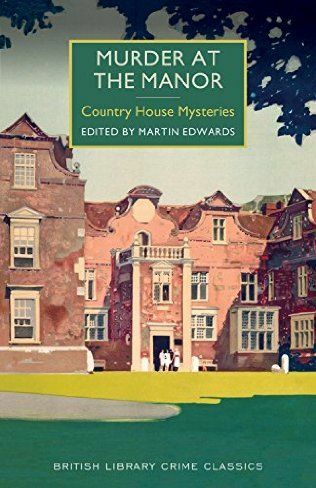 As with his previous anthologies in the Crime Classics series, Martin Edwards has also unearthed hidden gems and forgotten masterpieces: among them are a fine send-up of the country house murder, 'The Murder at the Towers'; a suspenseful tale by the unaccountably neglected Ethel Lina White; and a story by the little-known Scottish writer J.J. Bell.